We've procured prime seating in the stalls to this multi award-winning musical. Spend an utterly memorable night watching this Olivier, Tony & Grammy award-winning musical that follows the rise to fame of the chart-topping music legend, Carole King. As you'd expect it brimming with catchy songs that will take you back to the 60s & 70s with numbers such as 'You Make me Feel Like a Natural Woman' & 'Locomotion' that will have you itching to tap your foot along to the music. As the lively music washes over you its not hard to see why this musical won the Tony Award for Best Sound Design. Stay in the heart of the Royal Borough of Kensington and Chelsea - a beautiful neighbourhood which exudes a polished refinement in a perfect location for exploring the fabulous city of London. 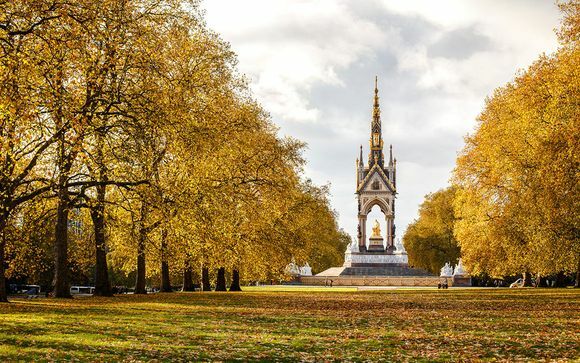 This is one of London’s most exclusive areas, the home of fine museums such as the Victoria & Albert & Natural History Museum, artisan bakeries that seamless blend into old-world buildings, world-class shopping at Harrods & graceful parks such as the iconic Hyde Park. At first glance, the neighbourhood of Kensington is a prim, well-to-do area where exquisite Victorian architecture reflects an old-fashioned culture. Scratch the surface, however, and you’ll find that beneath the facade, there’s an inventive, vibrant community that’s home to some of the Capital’s quirkiest and most intriguing diversions, a veritable kaleidoscope of entertainment options. Fed by new arrivals from around the world, the area has become a melting pot of international ideas and influences, a centre of creativity, reinvention and unstuffy fun—truly, a district of hidden depths. Just 2 minutes’ walk from Kensington High Street, this 4-star hotel offers air-conditioned rooms with en suite bathrooms. It has a 24-hour front desk and a traditional grill restaurant. Hyde Park is a 10-minute walk away. High Street Kensington Underground Station is 150 yards away, and links to Wimbledon and Hammersmith. The famous Museum Mile and Earl’s Court are within a 15-minute walk of Kensington Close Hotel And Spa. Boulevard Restaurant serves a hot breakfast and delicious modern European cuisine meals. 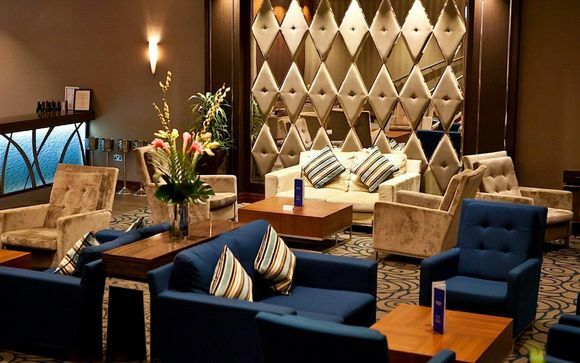 After a day out, guests can relax with a drink in the lounge bar. Access to the modern health club facilities is available at a surcharge. 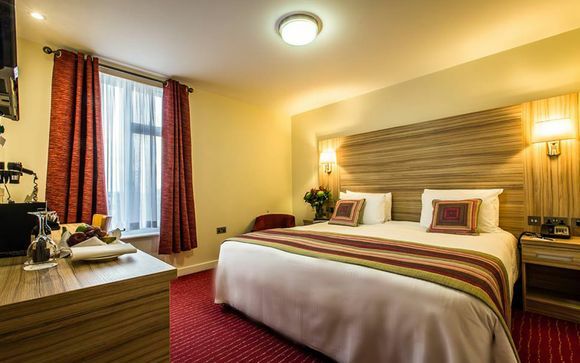 Kensington Close Hotel offers stylish Kensington accommodation in comfortable and well-equipped bedrooms. A peaceful respite from the bustling city of London and the excitement of the theatre district. Located in the heart of Kensington you are within walking distance of a variety of tasty treats: from small boutique gems to classy, world-famous lounges...all on your doorstep. Mouth-watering curries, innovative pastas and perfectly brewed coffee to name a fraction of what's on offer. Inside the hotel itself you will find it just as varied and stylish. Select a drink from the wide selection of cocktails available in the laid-back, modern bar. Exuding warmth and style, this lounge is the ideal spot for your morning cup of coffee or some delightfully delicious traditional afternoon tea. Or head to the Cafe Musetti for a charming selection of sandwiches, pastries and cakes accompanied by a perfectly brewed coffee prepared for you by the hotel's own baristas. At the main restaurant you will find an array of delicious modern European cuisine. It is here that you will be served your Full English Breakfast. Your hotel is just minutes from High Street Kensington Tube Station which is on the Circle & District Lines with direct access to the Houses of Parliament, Victoria & Tower Bridge.